TK Maxx's online store can be a bit hit and miss, similar to the stock in their actual shops, but if you strike it lucky and just happen to be looking at the right time then you can pull off some unexpected bargains on some decent gear. And some unexpected brands too. For instance, it's one of the few places where we've come across the high quality Japanese brand Goldwin, so for reasons like that it's worth knowing that occasionally TK Maxx has a few gems on offer amongst all it's standard everyday brands. The brands listed below are the one's we've come across over the years. You may not be so lucky to find a Goldwin jacket, or Peak Performance pants like we've seen appear on their before. Like we say, it's very hit and miss but definitely a place to check every so often to see if anything decent is on offer. 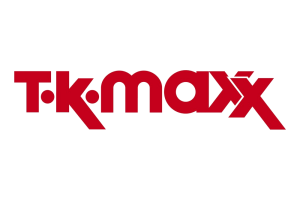 A list of the skiing, snowboarding and outdoor clothing brands stocked by TK Maxx, as well as any ski equipment and accessories.